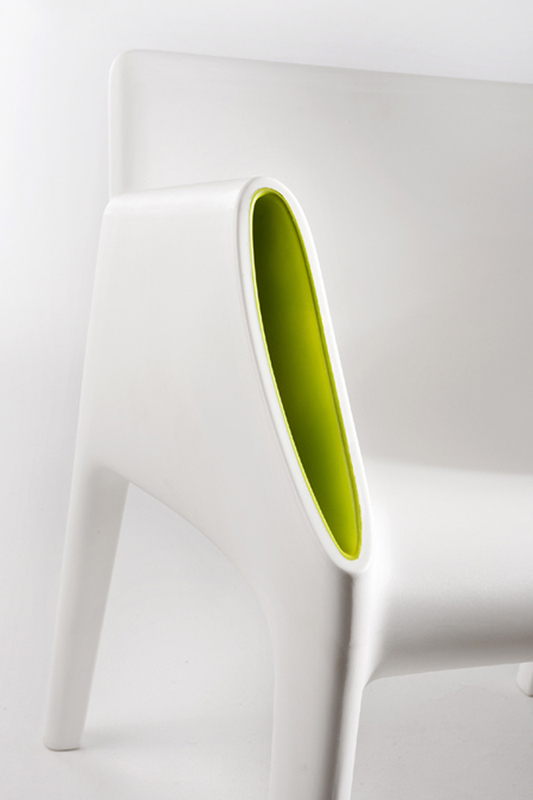 Unique, stylish outdoor furniture manufactured from batch-dyed polyethylene using the rotational moulding technique. The Magic Hole sofa and chair are characterised by a snappy silhouette with straight linear surfaces that terminate in well-rounded curves. 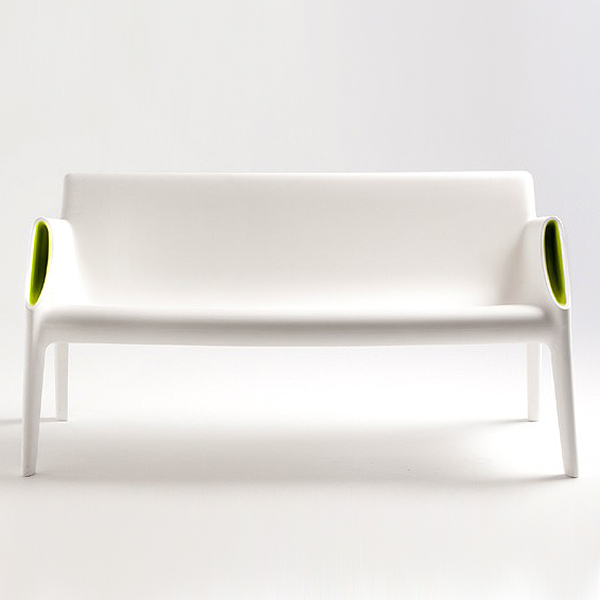 The flared pockets on the end of the arms enhance the overall look and are colored to match the white, gray or black seat, or to contrast in fluorescent orange or green. 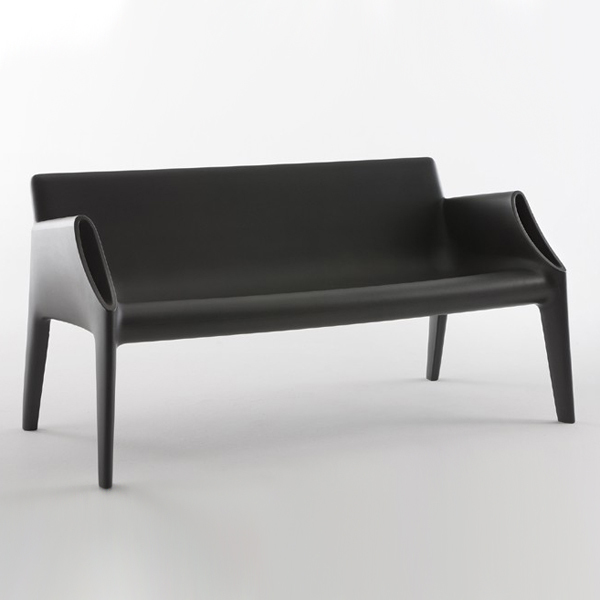 Perfect for use in outdoor settings and for the contract market.